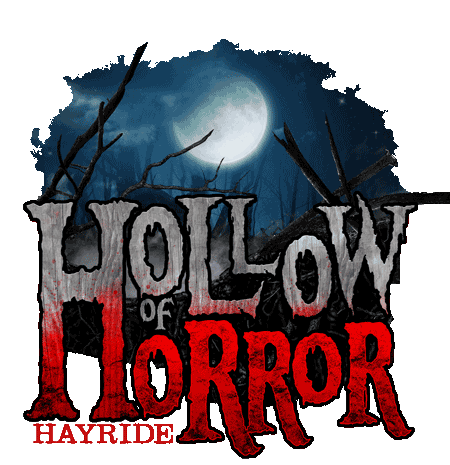 IN OUR 5TH YEAR OF THRILLS AND CHILLS LEHIGH VALLEY SCREAM PARK HAS EMBARKED ON OUR BIGGEST ENDEAVOR YET AND HAS ADDED OUR BRAND NEW HOLLOW OF HORROR HAYRIDE! YOUR JOURNEY BEGINS ON A TRACTOR PULLED WAGON THROUGH 50 ACRES OF PENNSYLVANIA FEAR AND TERRAIN LIKE NO OTHER. 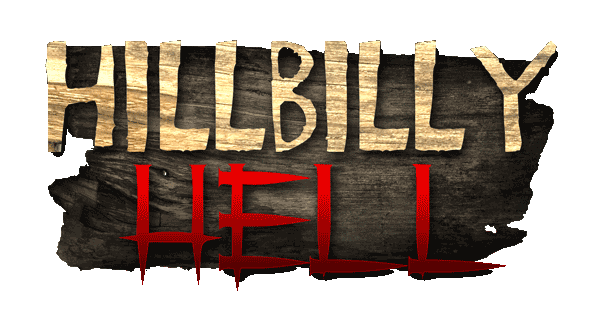 YOUR RIDE WILL TAKE YOU DOWN THE MOUNTAIN SIDE THROUGH THE DARK WOODS AND INTO THE SWAMPS OF TERROR FOR ONE OF THE LONGEST AND SCARIEST RIDES AROUND. BE READY AS EVERY HILL, EVERY CORNER, EVERY TREE MAY HAVE CREATURES LURKING AND BE WARNED PEOPLE DO GET PULLED FROM THE WAGON! OUR BACKWOODS HAUNTED HOUSE IS HOME OF AUNT LULU AND HER DEMENTED HALF BREED CHILDREN THAT DON’T TAKE MUCH OF A LIKING TO UNKNOWN VISITORS. BE CAREFUL THROUGH THIS SECTOR CAUSE AT THIS TIME OF YEAR, THEY AIN’T NO GROUNDHOGS OR RATTLE SNAKES TO EAT AND THESE FELLERS HAVE BEEN KNOWN TO DINE ON NORMAL FOLK. AS YOU EXIT THE HAUNTED HOUSE THROUGH AUNT LULU’S BACKYARD, YOU WILL SUBMIT TO THE SLAUGHTER BARN WHERE ONLY THE STRONGEST OF HEARTS DARE TO ENTER. THIS BARN IS HOME TO CHESTER AND HIS SLAUGHTER HOUSE IS ONE OF THE MOST FRIGHTENING AND DISTURBING HAUNTED BARNS AROUND. 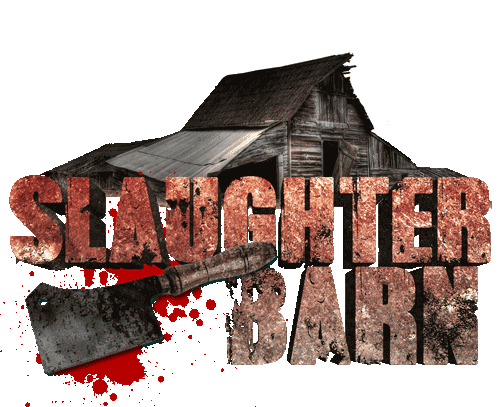 CAREFULLY MAKE YOUR WAY THROUGH THE BUTCHER HOUSE, OPEN BURIAL PIT, CHESTER’S WORK SHOP ALONG WITH HIS WHISKEY STILL AREA AND BE ON THE LOOKOUT AS RUMOR HAS IT THAT CHESTER HAS BRED SOME TYPE OF BARN MONSTER THAT IS HALF HUMAN AND HALF ANIMAL– CHAINED UP INSIDE SOMEWHERE. IF YOU MAKE IT THIS FAR, THE HORROR WILL ONLY GET WORSE. 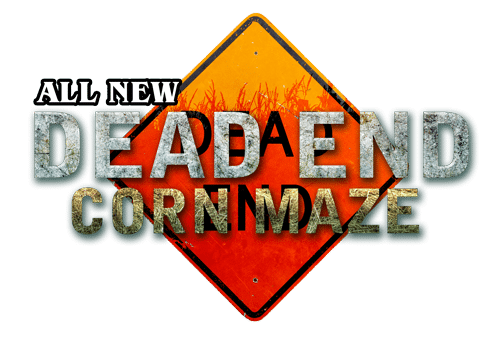 DEAD END CORN MAZE IS FULL OF DREADFUL SURPRISES BEFORE YOU EXIT AND THAT’S IF YOU CAN FIND YOUR WAY TO THE EXIT. BUT DON’T WORRY CHESTER HAS A PLAN FOR THE ONES THAT CAN’T FIND THEIR WAY OUT. THIS IS ALL NEW FOR THIS YEAR! TRIPLE THE SIZE OF THE ORIGINAL CORN MAZE!